The HomePod wireless speaker came out in the UK yesterday but Android phone users are out of luck. You can’t pair it with Android phones, and to set up the HomePod you need an iOS device – whether that’s an iPhone (iPhone 5S upwards), iPad (5th generation) or iPod Touch (6th generation). 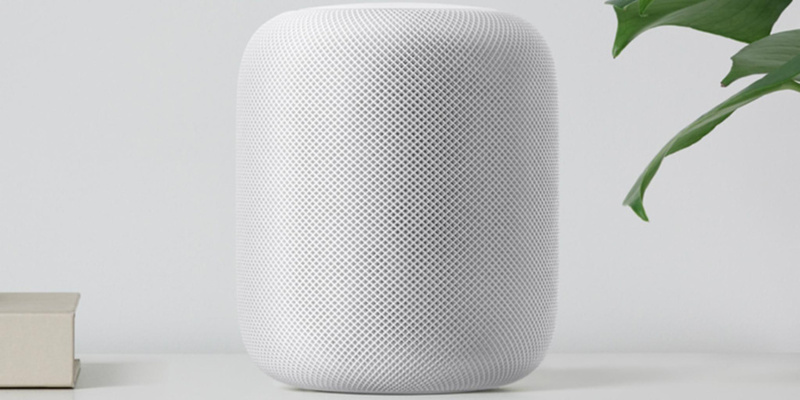 The Apple HomePod is a wi-fi-enabled wireless speaker that – unlike its rivals the Amazon Echo and Google Home – aims to be a music player first and foremost, and a voice assistant second. To achieve this, internally it has seven tweeters for producing higher frequency sounds compared to one on the Amazon Echo (2nd Gen) and Google Home. In addition, like the Sonos One before it, it also optimises its sound production to match the shape of the room, aiming to distribute the sound evenly throughout. We’ll give you our verdict on how it sounds when it comes back from our expert lab very soon. However, despite there being Bluetooth 5.0 connectivity inside the HomePod, there’s currently no regular Bluetooth support, so even Apple Music subscribers with Android phones won’t be able to use the speaker. Other limitations of the HomePod are that there’s no aux-in so you can’t plug in any devices and you can’t stream audio from third-party apps such as Spotify natively through the speaker. The only way to do this is through AirPlay, streaming it from the Spotify app on your phone to the speaker. This means that you can’t listen hands-free in this way, undermining a key advantage of smart speakers with voice assistants. The only music streaming service you can control with your voice is the natively supported Apple Music, as well as iTunes Match and tracks purchased from iTunes, not services accessed through AirPlay. Best Buy wireless and Bluetooth speakers – find out which ones top our tests. Furthermore, unlike some of its competitors, the Apple HomePod can’t make calls without you dialling the person’s number on your iPhone, and also can’t currently check your calendar. Plus its Siri voice assistant can’t distinguish one person’s voice from another, so you can’t set up individual user profiles for different members of your household. For some, these limitations make it a tough sell for what is – at £320 it’s one of the most expensive smart wireless speakers on the market. Some of these missing features may be added over time, but early adopters currently get a much more limited offering than from some of the HomePod’s competitors. So if you love the idea of controlling your wireless speaker with your voice hands-free plus the additional functionality this offers, such as the ability to ask for weather and traffic updates, here’s a selection of alternatives you could look at instead. The Amazon Echo (2nd Gen) makes for a far cheaper alternative. In fact, you could buy three for less than one HomePod. It’s a very small compact speaker, narrower and a touch shorter than the HomePod, and barely taller than an average smartphone. It works great with both Android and Apple phones. Tuned by Dolby sound engineers famous for their work in cinema sound, the Echo (2nd Gen) is a voice-controlled speaker including Amazon’s Alexa voice assistant. Rather ironically, the Echo can sync with your iCloud calendar despite Apple’s own HomePod currently not being able to, and Google Calendar as well. There are limitations though, with no ability to play music directly from external devices. Instead you have to use music you’ve uploaded to Amazon MyMusic, music you’ve bought from the Amazon Music Store or from music streaming services such as Spotify. But does it have great quality sound? Find out whether this speaker is a great balance of sound and price in our comprehensive Amazon Echo (2nd Gen) review. 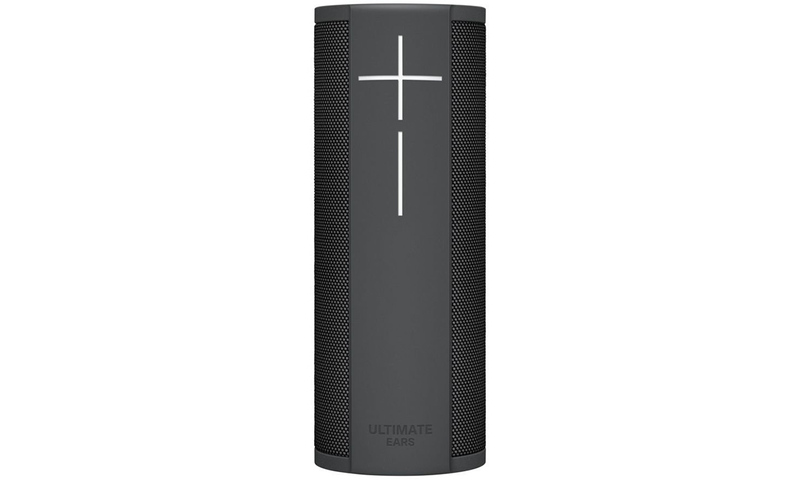 The Ultimate Ears Megablast is a cylindrical-style portable smart speaker with – you’ve guessed it – a very loud maximum volume. It’s also conveniently portable too, so you don’t need to worry about being in range of a power socket and can move it about easily. Not only this but it’s waterproof, so should survive being left out in the rain or even the worst kitchen accidents. It has Amazon’s Alexa voice assistant built in, with full access to the range of Alexa skills, allowing you not only to control music hands-free but also ask for the latest news or what’s needed for that cooking recipe, or even order a takeaway if the cooking goes south. So does Ultimate Ears manage to create a smart speaker to rival the bigger brands? We reveal whether the speaker’s up to standard in our expert Ultimate Ears Megablast review. 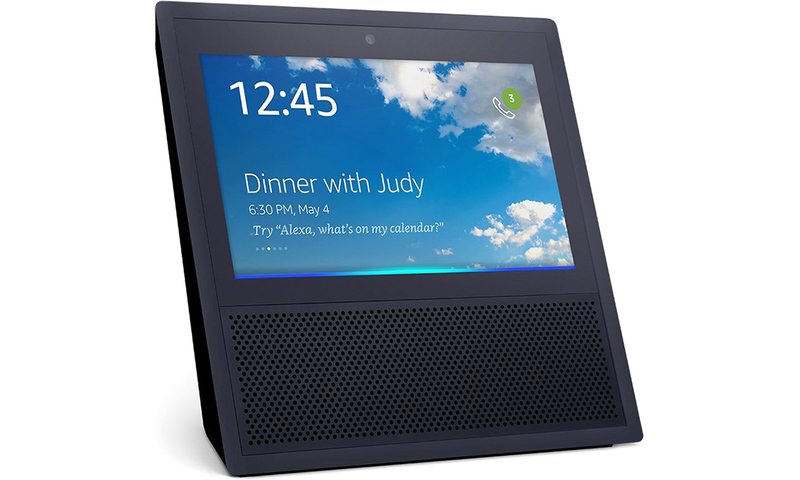 The Amazon Echo Show is an unusual but revolutionary wireless speaker with a 7-inch touchscreen. This allows you to see lyrics and album artwork as music is playing, see what radio station programme you’re listening to, as well as perform a multitude of additional tasks, such as watching cooking videos or film trailers on YouTube. You can even use it as a baby monitor to keep an eye on your little one while cooking if you pair it with a suitable device. It also includes a built-in smart hub, so you can directly control any smart home appliances you have, such as to dim smart lights or change the temperature on your smart thermostat, without lifting a finger using only your voice. The Show also uniquely has stereo sound and, like the Amazon Echo (2nd Gen), has been audio tuned by Dolby. But do its smaller front-facing speakers mean you take a hit on audio quality compared to its cylindrical smart speaker rivals? We give you the lowdown on how it performs in our extensive Amazon Echo Show review. Not a fan of Amazon? 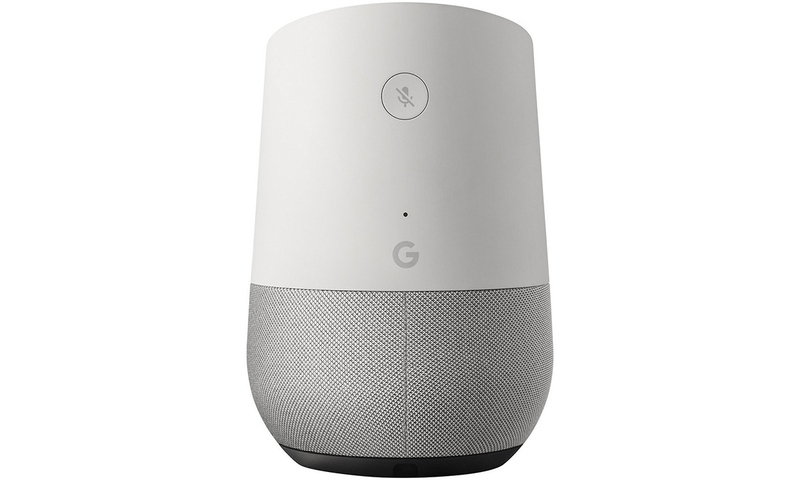 Google has you covered with its own smart speaker, the Google Home. It uses Google’s own voice assistant, Google Assistant, and is compatible with a whole range of music and radio services including Spotify, Google Play Music and TuneIn Radio. 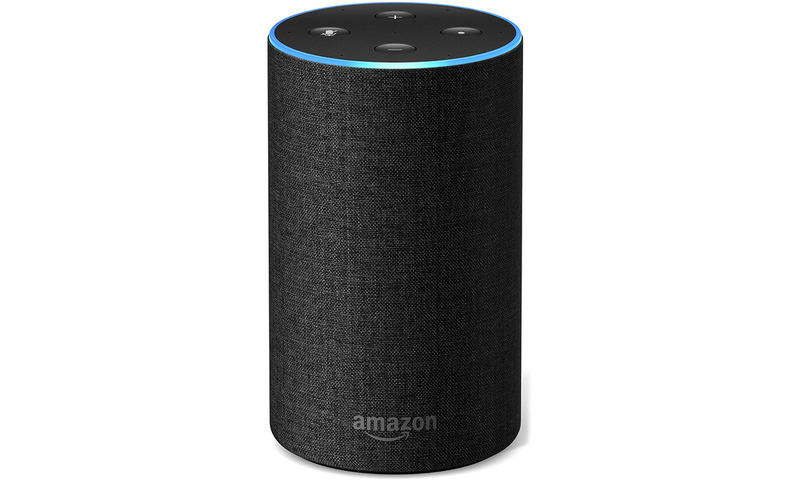 However, unlike the Amazon Echo (1st and 2nd generations) it only supports wi-fi, not Bluetooth as well, so you’ll only be able to connect to other devices that support wi-fi and are in good range of your wireless router for signal. Slightly squatter than the Amazon Echo (2nd Gen), does the Google Home prove to be a strong rival for sound? We put it to the test with our listening panel in our Google Home review.